Built by Harland & Wolff of Belfast, Hapag's Amerika was launched in April 1905, and made her Hamburg-New York maiden voyage on 11 October of the same year. On 4 October 1912, while still on the New York service, she rammed the British submarine B2 off the coast of Dover. The sub sank immediately and 15 of her 16 crew members perished. 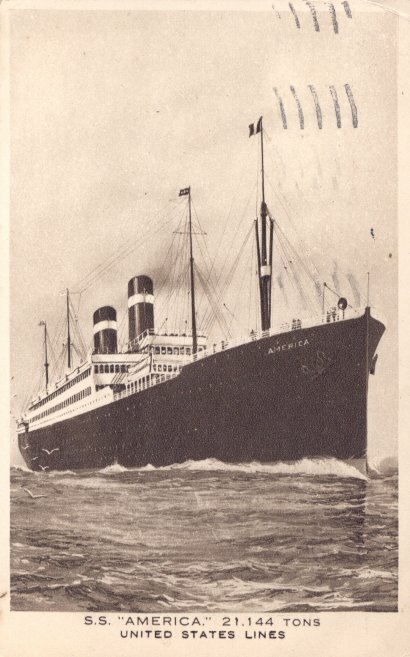 In June 1914, Amerika was transferred to Hapag's Hamburg-Boston service, and was in Boston when World War I began. She was interned there from August 1914 until the United States entered the war in April 1917. 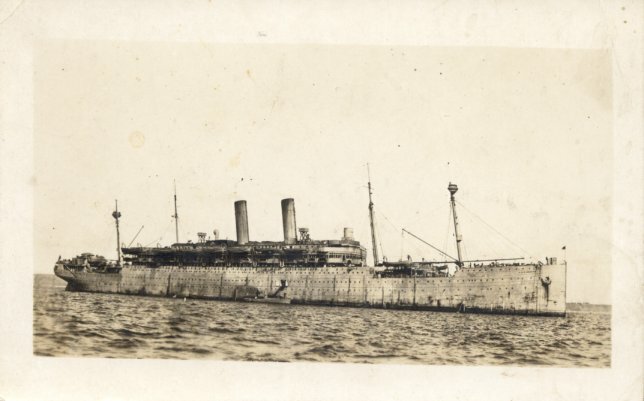 She was then seized, renamed America, and put into service as a troopship. Her service as trooper was hardly a tranquil one, for she was involved in two fatal incidents in 1918. On 14 July, she collided with the British steamer Instructor, which sank with 16 deaths. Three months later, on 15 October, America herself sank while taking on coal in Hoboken, with six fatalities. She was raised in December and repaired, eturning to service in February 1919. Retained after the war by the United States as a war reparation, America underwent a refitting and conversion to oil fuel at Morse Dry Dock & Repair Co. in Brooklyn during 1920-21. In June and July 1921, she was chartered to U.S. Mail Steamship Co., and made three New York to Bremen roundtrips for that company. 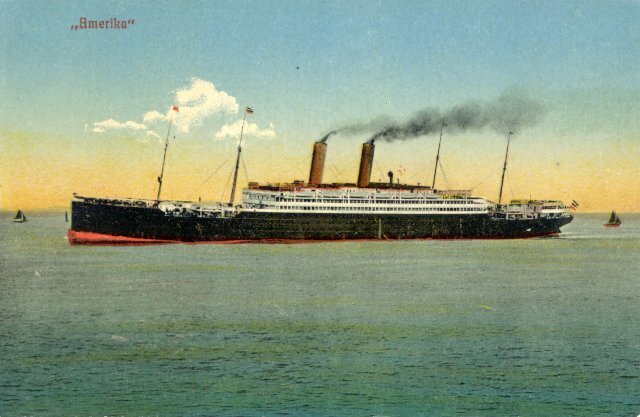 She then became part of United States Lines, and was placed on the New York-Bremerhaven service in August 1921. America was rebuilt in 1923 at the Brooklyn Navy Yard, and again in 1926 at Newport News Shipbuilding. During the 1926 rebuilding, America was so badly damaged by fire that her scrapping was seriously considered. In the end, though, she was repaired and returned to service in March 1928. She remained in service only another three and a half years, making her final westbound departure, from Hamburg, on 4 September 1931. She was then laid up in Chesapeake Bay until 1940. In October of that year, America was sent to Bethlehem Steel's Baltimore ship yard for conversion into a U.S. Maritime Commission accommodation ship named Edmund B. Alexander. In 1942-43, she underwent a further conversion into a trooper, again at Bethlehem Steel in Baltimore, emerging with only a single funnel. She served as a trooper until May 1949, when she was again laid up, first at Baltimore, and after 1951 in the Hudson River. In 1957 she was sold to Bethlehem Steel for scrapping, which took place at Baltimore in 1958. An aside: Several sources, including Miller's Pictorial Encyclopedia of Ocean Liners 1860-1994, Kludas' Great Passenger Ships of the World and Haws' Merchant Fleets, state that Amerika was the largest ship in the world during the 1905-06 time frame. This is clearly not correct. 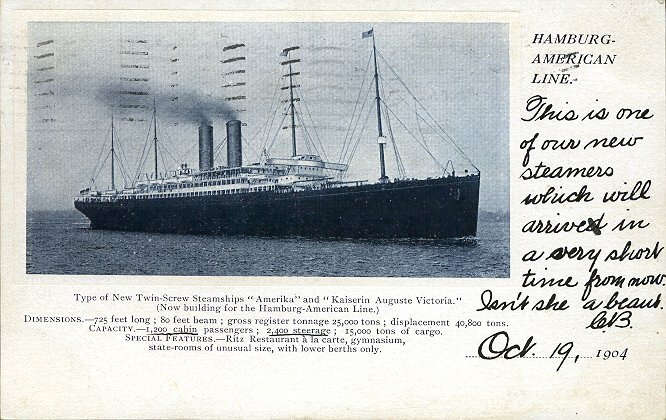 By any measure, White Star's Baltic (II) was a larger and older ship than Amerika. 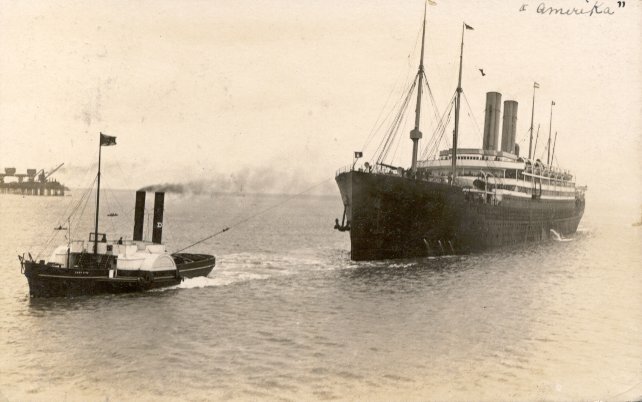 Baltic was clearly bigger (by more than 1,000 tons) and longer (by 26 feet) and had a larger passenger capacity (by 367). Her launch and maiden voyage preceded Amerika's by 17 months and 16 months, respectively. Baltic therefore was older than Amerika and there's no standard by which Amerika can be judged to be larger than Baltic. Amerika was never, in fact, the world's largest ship. Sources: Bonsor's North Atlantic Seaway; Kludas' Great Passenger Ships of the World.